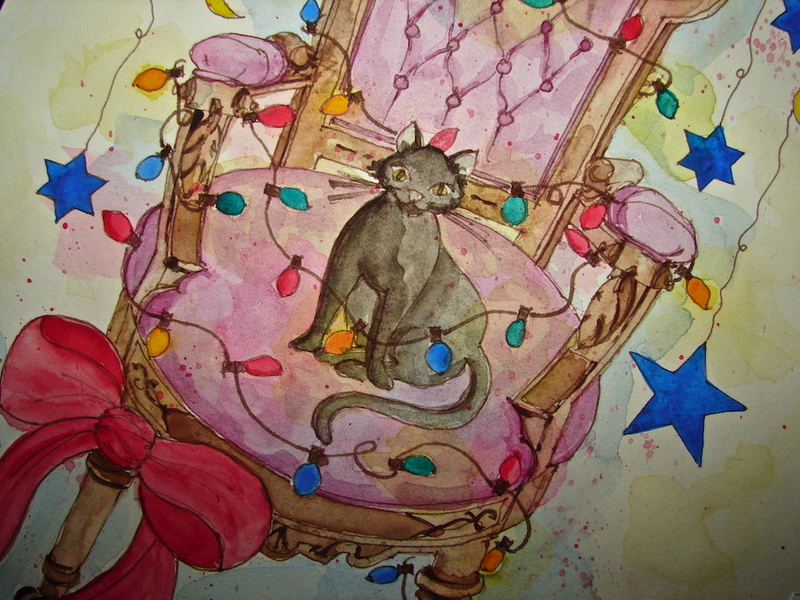 Our holiday card in the making! 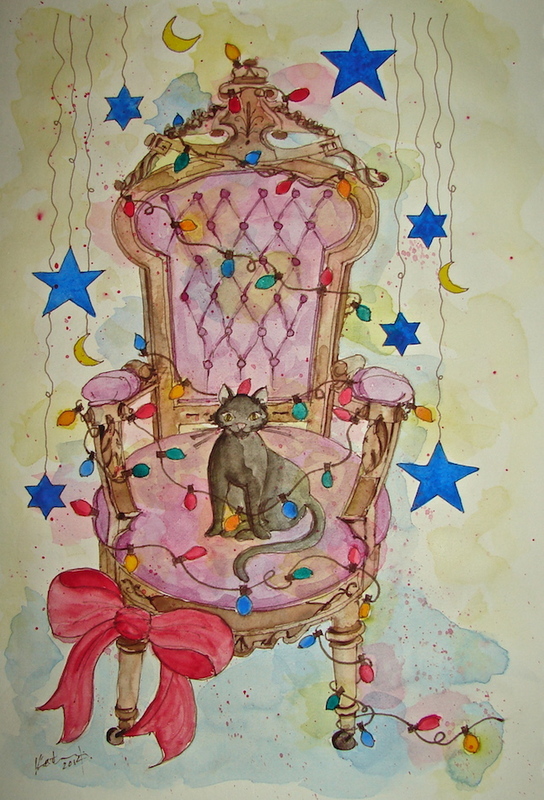 It was fun to create a holiday card this year, the end of my first year of watercolors! I had good models in a late 19th century chair from a set that will be conserved next year, and our cats, keeping us company in the offices as we work this season. The chair is American, from the Aesthetic Movement. It’s innards are intact, which is wonderful, and the finish is original, if damaged. the new year after the internals are conserved and repaired and retied. the dusty old fabrics and “own” the pieces until it is time to begin work on them. They think we bring these old pieces in just for them! Gallery | This entry was posted in conservation techniques and tagged Aesthetics, holiday, reupholstery, traditional upholstery, Victorian furniture. Bookmark the permalink.